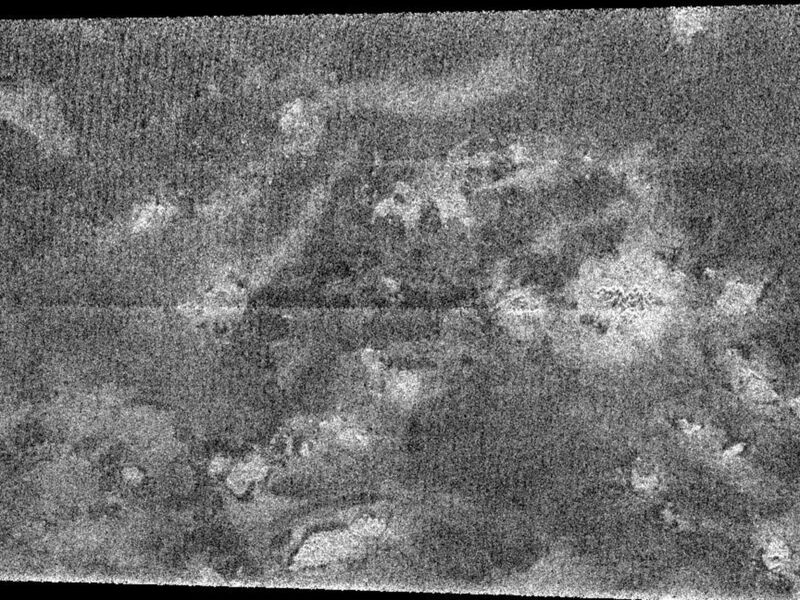 Although most of the region observed by the Cassini radar instrument in the February close flyby of Titan is very different from the regions imaged in October, the area shown in this image appears quite similar. 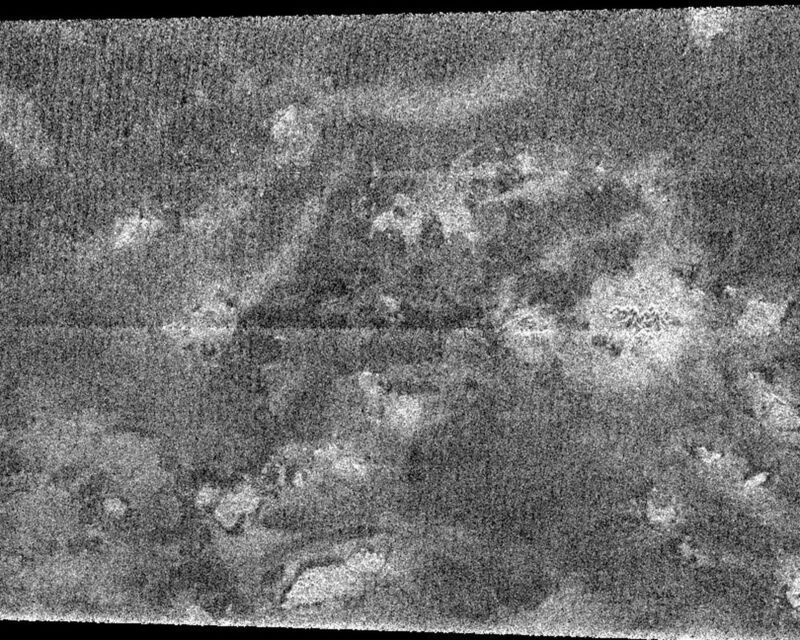 Running about 300 kilometers (186 miles) from top to bottom, the image shows a complex of bright hills and ridges surrounded by a dark plain. In radar imaging, large dark expanses are either relatively smooth, or absorb radio waves effectively, or both. Seen more faintly in the dark plains are subtle features, the origins of which are unclear. 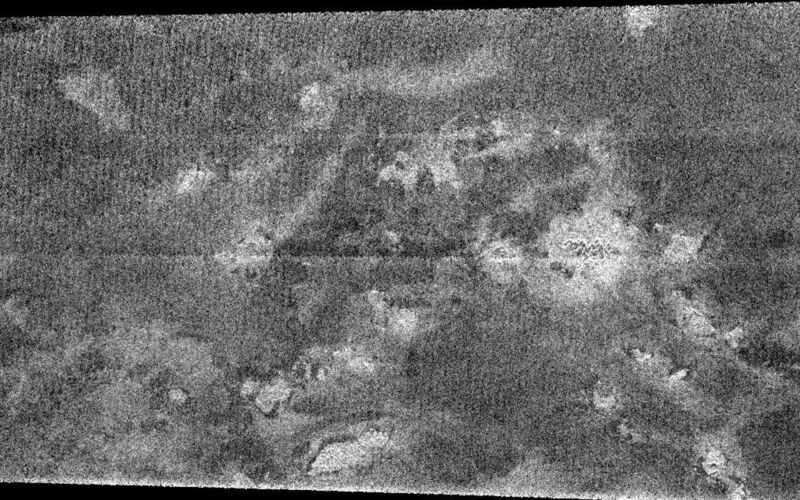 These features have some resemblance to the features seen in the October flyby that were characterized as "cryovolcanic" meaning flows of warm ice, or mixtures of liquid water and ammonia (see PIA06993). The Cassini-Huygens mission is a cooperative project of NASA, the European Space Agency and the Italian Space Agency. The Jet Propulsion Laboratory, a division of the California Institute of Technology in Pasadena, manages the Cassini-Huygens mission for NASA's Science Mission Directorate, Washington, D.C. The Cassini orbiter and its two onboard cameras were designed, developed and assembled at JPL. The radar instrument team is based at JPL, working with team members from the United States and several European countries.